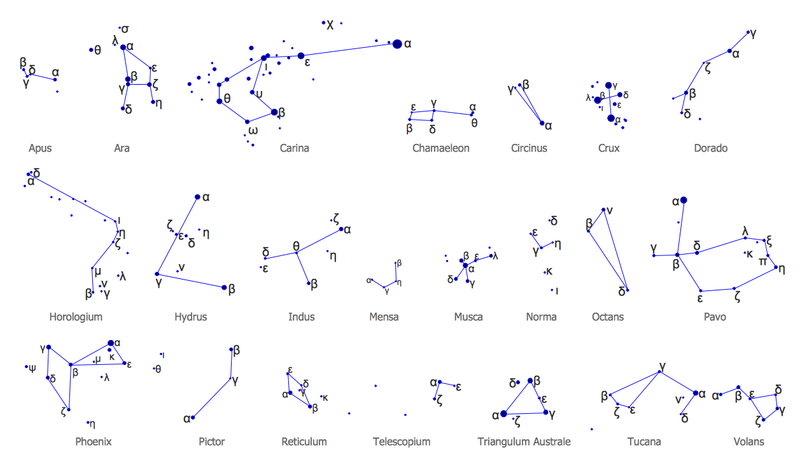 No science can't exist without illustrations, and especially astronomy! 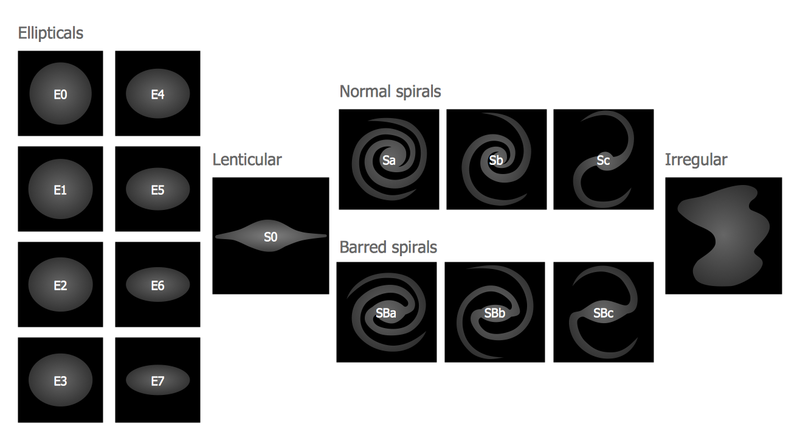 Illustrations help to visualize knowledge, natural phenomenons which are studied by astronomy, they equally effective help in work, during the learning process and on the conferences. 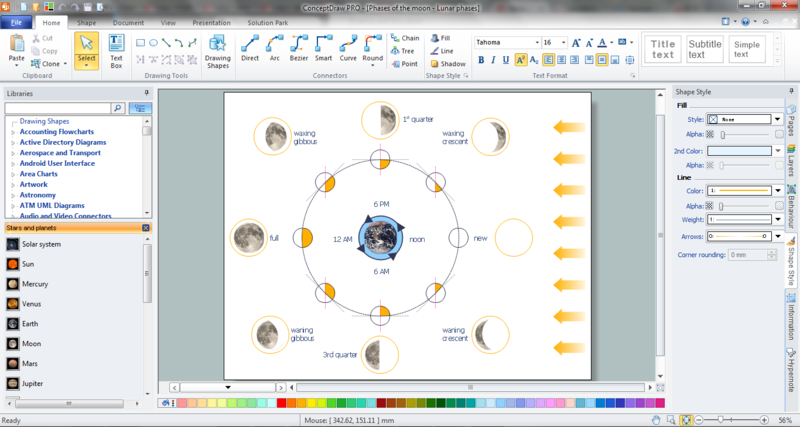 Now we have professional astronomy illustration software - ConceptDraw DIAGRAM extended with Astronomy solution from the Science and Education area of ConceptDraw Solution Park. 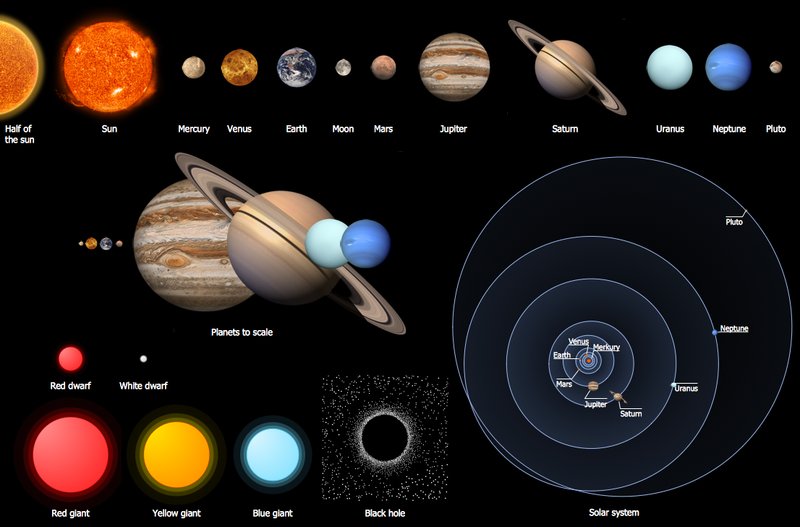 Thanks to the tools of Astronomy Solution drawing various astronomy illustrations and sketches is quite simple process. Now, you don't need to be an artist, all needed for drawing vector objects are predesigned and available in 7 libraries of Astronomy Solution. 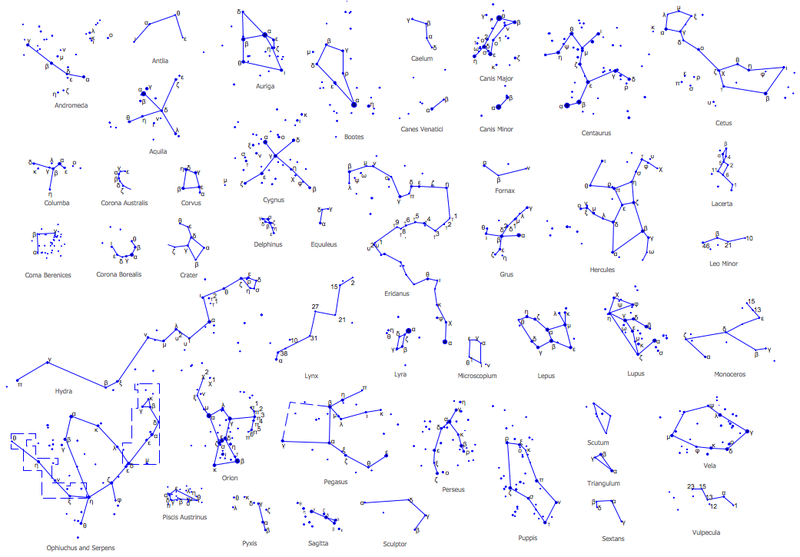 In addition to the libraries, astronomy illustration software ConceptDraw DIAGRAM offers also the set of astronomical samples ready for using as examples or as the base for your own astronomy illustrations. 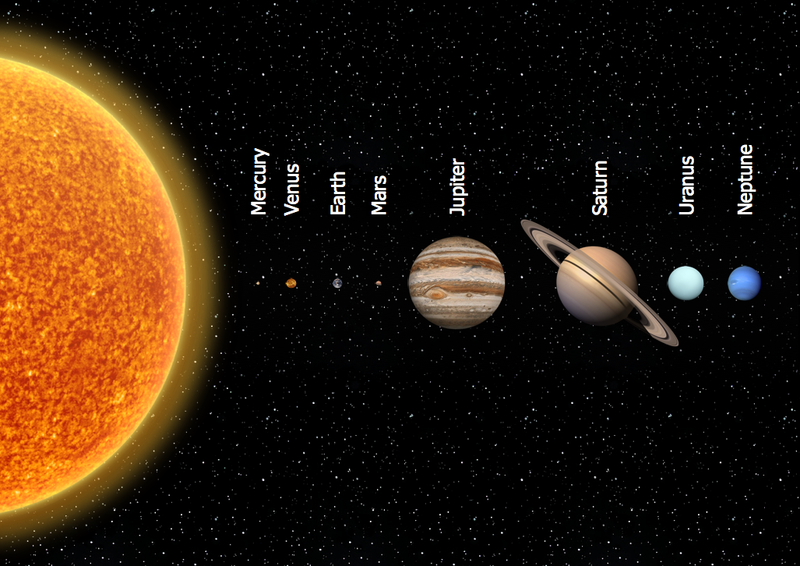 There are four terrestrial planets - Mercury, Venus, Earth and Mars and four giant planets, which can be divided further into two gas giants - Jupiter and Saturn and two ice giants - Uranus and Neptune. 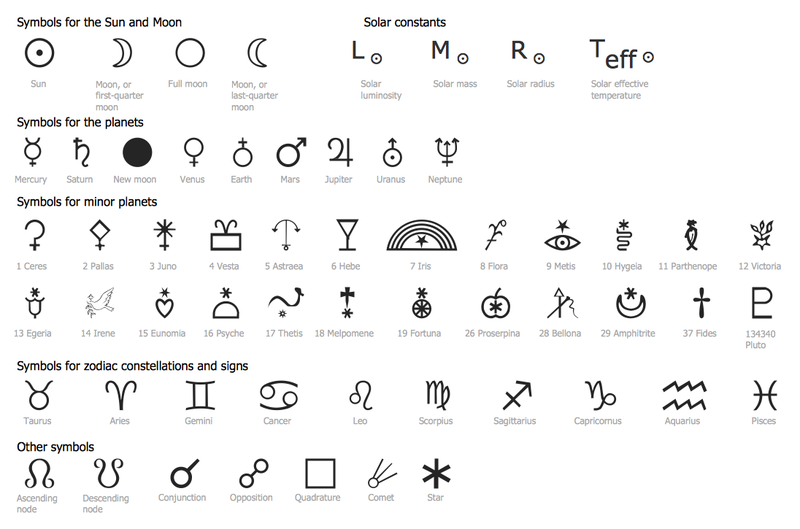 Illustration Software with templates, samples and libraries of a variety of astronomy symbols, including constellations, galaxies, stars, and planet vector shapes; a whole host of celestial bodies. When drawing scientific and educational astronomy illustrations, astronomy pictures and diagrams, ConceptDraw DIAGRAM can help you reach for the stars. You don't need to be an artist to draw professional looking illustrations and diagrams in a few minutes. Great number of predesigned templates and samples give you the good start for your own illustrations. ConceptDraw DIAGRAM v12 diagramming and vector drawing software provides the Astronomy solution from the Science and Education area. 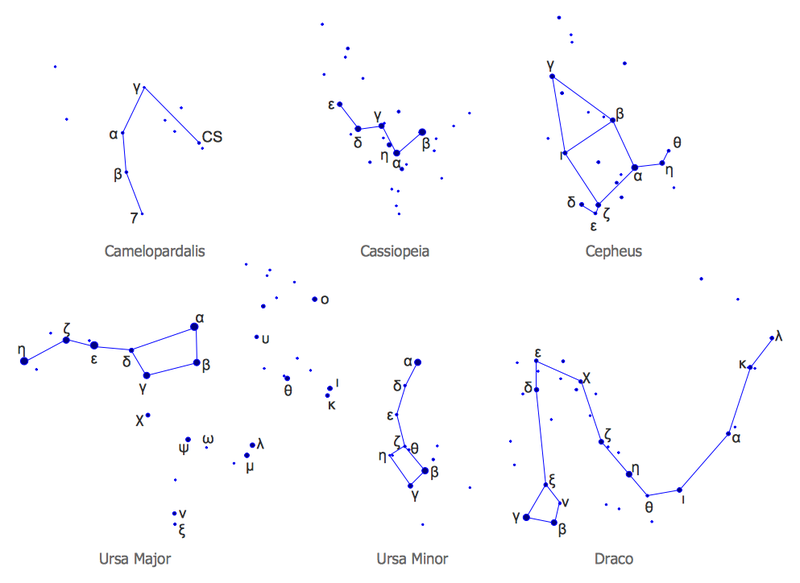 This solution offers you all needed tools for drawing the constellation chart of any complexity without difficulties. 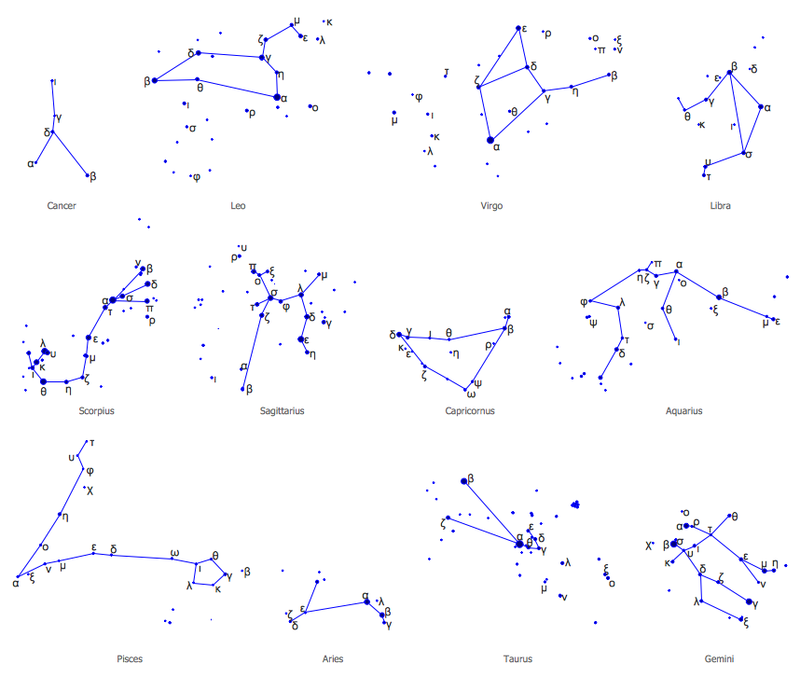 Astronomy solution contains 4 libraries with vector objects of all variety of constellations: Constellations Except Zodiac Northern and Southern, Northern Constellations, Southern Constellations and Zodiac Constellations. ConceptDraw DIAGRAM v12 is the best software for illustration the network topologies. It's very easy and quickly to design the network topology diagrams of any kinds and complexity in ConceptDraw DIAGRAM v12 diagramming and vector drawing software using the Computer and Networks solution from Computer and Networks area of ConceptDraw Solution Park.